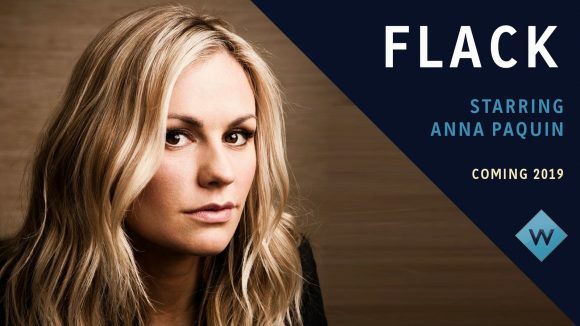 TVNZ OnDemand will stream weekly from February 22, the same day as the US and UK, the new Anna Paquin-produced comedy, Flack. She plays a London-based celebrity publicist navigating the scandals of high-profile clients face while sabotaging her personal life. The platform’s also debuting on February 8 the full season of Playing for Keeps, an Australian drama set on the sidelines of professional football. Away from the grandstands and the locker rooms, the real action is on the red carpets, in the beauty salons and in those designer bedrooms. It’s love, power and status all the way – until the death of a team member adds investigation into the mix. Who magazine thought it “consistently entertaining” and praised the “fun observations about celebrity, on-point character studies, and commentary about footy madness in Melbourne”. New episodes of Temptation Island will reach these shorts from February 14, when it will launch with a double-episode. And bypassing TVNZ 1 (at least for the time being) will be new episodes of Cold Feet, with season eight streaming from February 19. The new season finds Adam (James Nesbitt) back on the singles market, but for once in his life he’s not finding any takers. Pete (John Thomson), on the other hand, appears to have found his and with mature student Jenny top of the class, the Giffords are in a good place. As Karen’s (Hermione Norris) daughters turn 18, she’s left wondering whether her business will be enough to fulfil her in her later years. Meanwhile ex-husband, David looks set to become a kept man, if his pride will let him. And if you haven’t checked out TVNZ OnDemand recently, from the start of the month it added to its back-catalogue UK TV bonanza the drama series Tess of the D’Urbervilles, The Body Farm, The Guilty, The Town and The Passing Bells (a WWI drama for young adults), along with The Young Ones, the documentary series Expedition Volcano, Secrets of the Human Body and Should We Go to Mars, and the latest season of Stella.